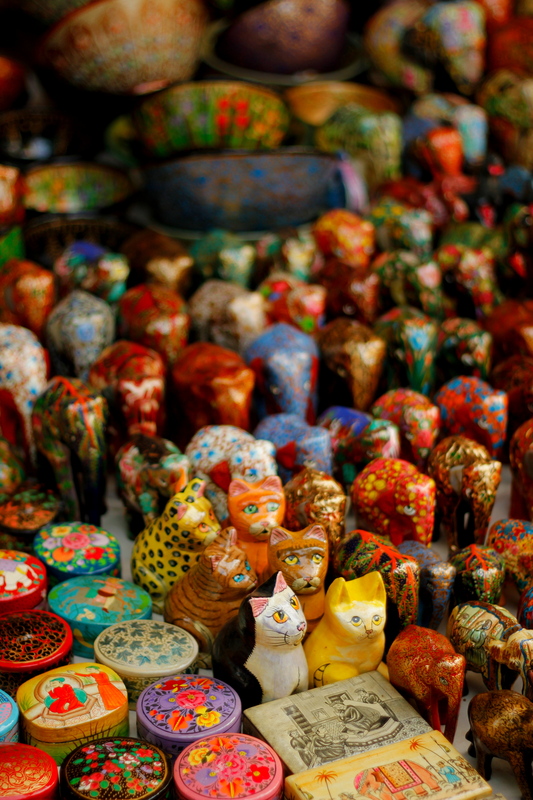 The smiling cat seems to stand out of the crowd of toys and oddities at the flea market at Anjuna Beach, Goa. < Welcome to Noisy Pilgrims! I didn’t buy one Theadora, the yellow cat is real cute isn’t it! Nice pic, very colorful. And yes, you are right, the smiling cat is over the crown.